EXPO MENU 2015 - AUTUMN WONDERS OF THE TREVISO AREA A special event to learn about the tradition of food and wine in the province of Treviso, rich in precious fruits in every season. We will therefore welcome Autumn and the many delights that accompany it. Undisputed star of the evening will be Fall, represented by those who are, perhaps, the most prestigious and appreciated of its fruits: mushrooms and wine. A parallel path to accommodate in an original way a season full of incredibly versatile and tasty products. 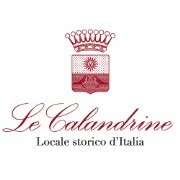 The historic restaurant Le Calandrine will be the picturesque setting for an evening dedicated to the flowers of autumn, mushrooms, paired with wines from prestigious local companies and interpreted with originality by chef Luigi Barbiero. Chanterelles, porcini and honey fungus will marry harmoniously with cheese, lasagna and other ingredients to create a tasty menu, which can enhance the best features, in full harmony with the themes and objectives of the Expo. The events related to Expo 2015 are in fact an unique opportunity to learn, live and enjoy our magnificent region in a warm and friendly atmosphere.